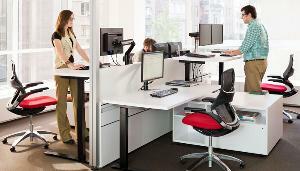 Prize: Its sit-stand adjustability helps prevent back pain and improves your energy levels at work. With the unique position sensor corrects your posture to relieve back and neck stress and help create healthy working habits. What you must do to enter: Please leave your email address. Statistics: This contest was opened by 172 and entered by 16 ContestChest.com members. 9% of those who opened the contest, entered it.